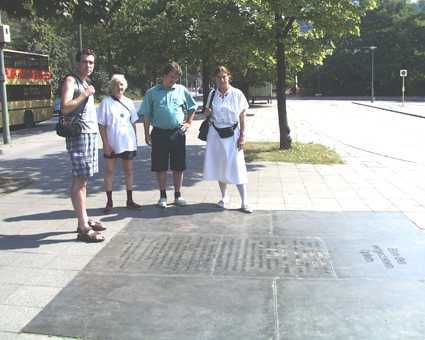 Berlin: the origins of the "Euthanasia"
"Tiergartenstrasse 4 - In honour of the forgotten victims." 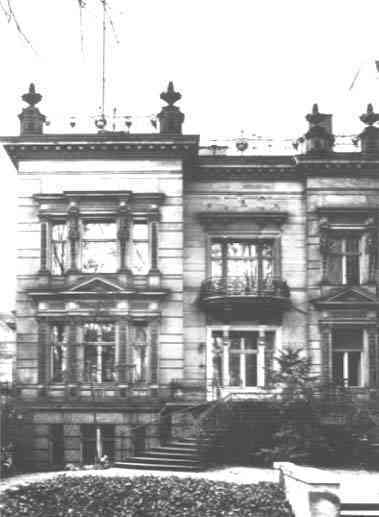 orders for the "Euthanasia" were issued "The first mass-murder by the Nazis was organized from 1940 onwards on this spot, the Tiergartenstraße 4 and named "Aktion T4" after this address. From 1939 to 1945 almost 200,000 helpless people were killed. Their lives were termed "unworthy of living", their murder called "euthanasia". They died in the gas chambers of Grafeneck, Brandenburg, Hartheim, Pirna, Bernburg and Hadamar, they died by execution squad, by planned hunger and poisoning. The perpetrators were scholars, doctors, nurses, justice officials, the police and the health and workers’ administration. The victims were poor, desperate, rebellious or in need of help. They came from psychiatric clinics and childrens hospitals, from old age homes and welfare institutions, from military hospitals and internment camps. The number of victims is huge, the number of offenders who were sentenced, small. Inscription on the T4 commemorative tablet.